Mass Virtual is honored to announce that General Bryan “Doug” Brown (Ret.) has joined the Mass Virtual Board of Directors. 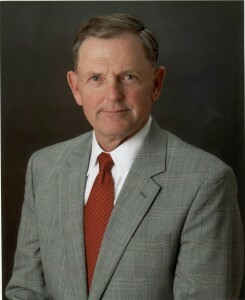 General Brown concluded his 40-year U.S. Army career in 2007 after serving as Commander, United States Special Operations Command at MacDill Air Force Base, FL, where he was responsible for all Special Operations Forces of the Army, Navy, Air Force, and Marine Corps, both active and reserve. General Brown entered the Army in 1967 as a private in the Infantry. Upon completion of Airborne School and the Special Forces Qualifications Course, he served on a Special Forces “A Team” at Fort Bragg, NC. As a general officer, General Brown served as Assistant Division Commander (Maneuver), 1st Infantry Division (Mech. ), Fort Riley, KS. He then served as the Commanding General, Joint Special Operations Command (JSOC) and U.S. Army Special Operations Command, Fort Bragg, NC. General Brown’s combat tours include Vietnam as well as Operations Urgent Fury (Grenada), Desert Shield/Storm and others. His other assignments include the 129th Assault Helicopter Company, Republic of Vietnam and Commander, Headquarters and Headquarters Battery, 2/17th Field Artillery, Camp Pelham, Republic of Korea. At Fort Campbell, General Brown served twice as the Commander, C Company, and Deputy Commander for Operations, 160th Special Operations Aviation Group (Airborne); Commander, 5/101st Aviation Battalion, 101st Airborne Division (Air Assault); Commander, 1stBattalion, 160th Special Operations Aviation Regiment (Airborne); and Commander of the Legendary 160th Special Operations Aviation Regiment (Airborne). He has a Bachelor’s Degree in History from Cameron University and a Master’s Degree in Business from Webster University. His awards and decorations include the Distinguished Service Medal, Legion of Merit, Distinguished Flying Cross, the Bronze Star Medal, and the Air Medal with “V” Device, the Joint Service Commendation Medal, and the Armed Forces Expeditionary Medal. He also wears the Special Forces Tab, Master Army Aviator Badge, Military Free Fall Parachutist Badge, and the Air Assault Badge. General Brown resides in Dade City, FL with his wife, Penny. He has six grandchildren. For more information about Mass Virtual visit www.massvirtual.com.